Sea Watch Gourmet Chopped Ocean Clams are packed from only quality shell stock (Arctica islandica “Ocean Quahog”). One 51oz can of Gourmet Chopped Ocean Clams contains approximately 65% large pieces. The robust tender Atlantic Ocean (Quahog) Clam is chopped to 5/8 inch, blanched and packed in a concentrated clam broth for great clam flavor. This product has the enhanced flavor without the increased sodium level. The second and most important selling point of the Gourmet Chopped Ocean Clams is the fresh robust concentrated broth that the product is packed in. This juice is extracted from the clams during the process. It is then concentrated, standardized, and used to top off each can. We think that the flavor is the best part! Compare the hardy clam flavor that this broth adds to your recipe to that of a clam base. The clam base can now be totally eliminated. 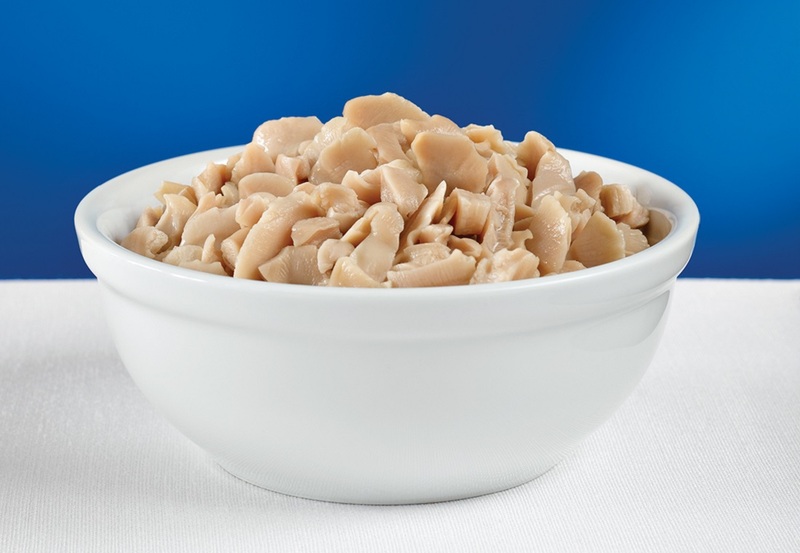 Gourmet Chopped Ocean Clams have been under federal management since 1977 and is considered by many to be one of the best-managed fisheries in the world. Ocean Clams and Ocean Clam Juice, Salt, Sodium Tripolyphosphate (to retain natural juices), Clam Flavor (salt, yeast extract, maltodextrin, and natural clam flavor), Clam Extract, Dextrose, Sodium Erythorbate (to protect flavor), Disodium Inosinate/Disodium Guanylate (to enhance flavor), Calcium Disodium EDTA (to protect color). Sea Watch 03G31 – 12/51 oz.